radish*rose’s mission is to encourage and inspire other home cooks to have fun in the kitchen, have confidence in their own cooking, and happily enrich their healthy lifestyles. radish*rose does this by sharing healthy vegetarian and seafood recipes, including beautiful photos of the resulting dishes, that have been successfully made by a real, non-professional home cook with limited time to spend in the kitchen, just like people everywhere. The featured recipes are sometimes original and sometimes adapted from a wide variety of cookbooks, magazines and other blogs. Hello! My name is Lani (pronounced LAH-nee, rhymes with Bonnie) and I’m the author of this blog. I live in the New York City area with my husband. Having always been interested in healthy eating, in January 2014, my husband and I decided to try eating less meat – so you’ll see vegetarian and seafood recipes on radish*rose. I usually make vegetarian dishes during the week, and one or two seafood dishes on the weekend. We both feel great with this light and bright way of eating! Whether you eat this way all the time or just want to try one thing, I hope you enjoy the recipes as well. I began blogging in April 2014 as a way to share recipes with friends and family. I’m always trying new recipes, inspired by my 100+ cookbook collection and so many other wonderful, creative cooking blogs — I’m one of those people who enjoys reading cookbooks for fun! Some recipes on the blog are invented by me, but not all, and I never want to take credit for anyone else’s content so I’ll always let you know where the recipes I use are from and whether I adapted or modified it, and I’ll also fill you in on any interesting or unusual ingredients I’m using. I especially love seeing what produce and seafood is in season and figuring out how to prepare it. Many cookbooks don’t have photos of everything in the book, so it’s fun to make something and show you what the final dish looks like. Even if there is a photo, mine never looks quite like it! I’m learning a lot about food photography through blogging. So far, I’ve used an iPhone 6 for many of the photos on this blog, and sometimes a Nikon D3300. I also use a daylight lighting kit since I’m usually cooking and photographing at night (you know, when dinner happens!). Still learning! It’s all part of the journey. 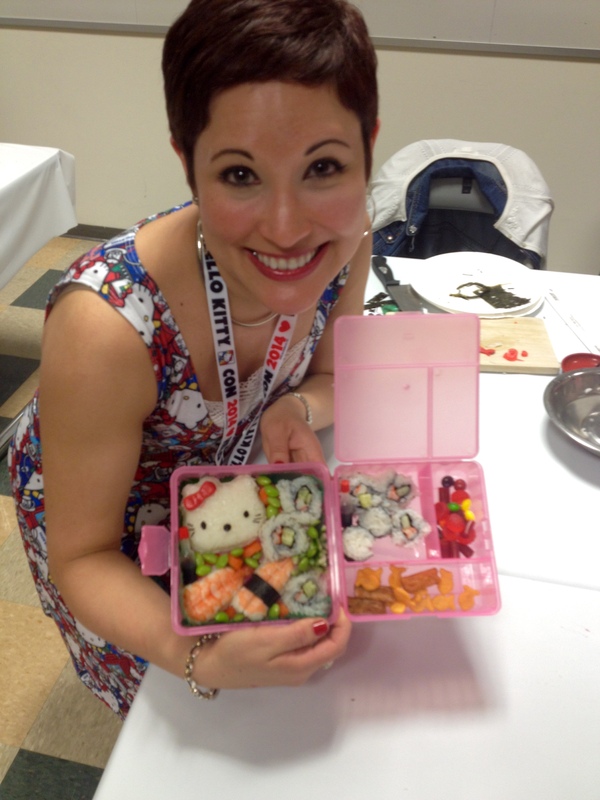 Besides cooking and blogging, I’m also obsessed with Hello Kitty! And I love to salsa dance and swing dance. Right now I’m also learning to hustle dance (to 70’s disco! Think Saturday Night Fever). Now let’s go have some fun in the kitchen!